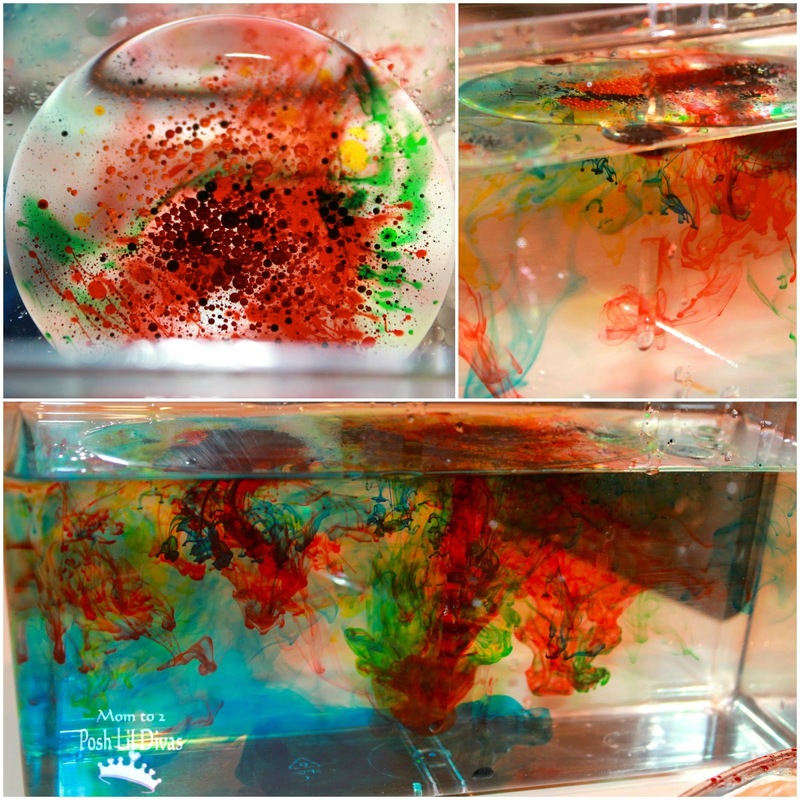 In honor of Science Week we have joined forces with Coffee Cups and Crayons, Inspiration Laboratories and Learn Play Imagine. On Monday we shared fun Weather Explorations. Today, we are Experimenting with Water. I want to take this opportunity to invite you back on Friday as we experiment with flowers. These days simple, fast and easy are all I can handle as far as activities go with the Lil Divas. I am swamped as I get ready for the upcoming school year. I am spending hours upon hours either at work or prepping things at home for work. 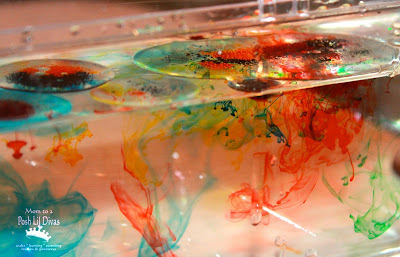 The fun Liquid Exploration I am sharing today is something you can do at a moment's notice with very little preparation. It utilizes items many of us have on hand in our kitchens and has a definite "WOW!" factor for the kids. 1. 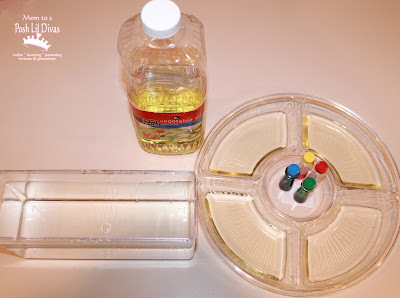 Fill your container with water and set aside. 2. Pour oil into a dish and add drops of food color. Use your spoon to mix. We opted to keep our colors separate. 3. Scoop the mixed oil and food color mixture into your water. 4. Observe what happens. 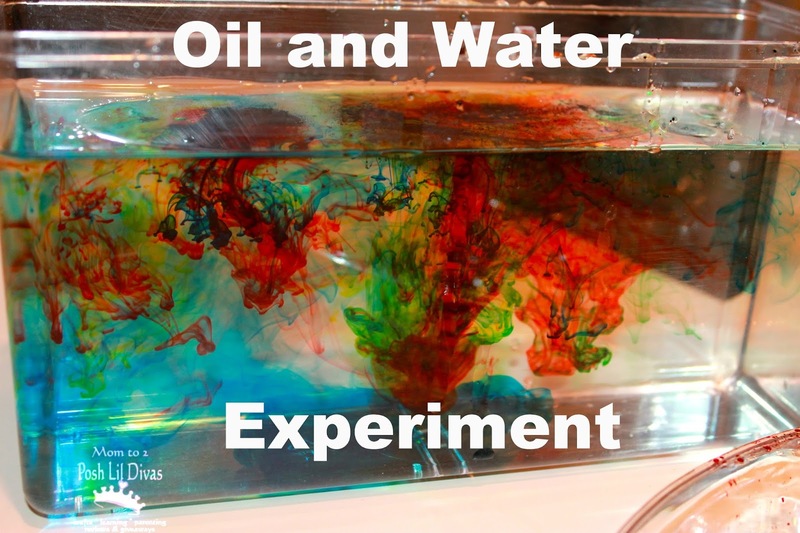 The oil and water don't mix but the food color separates itself from the oil and mixes into the water, dramatically. FUN! Wasn't that simple? 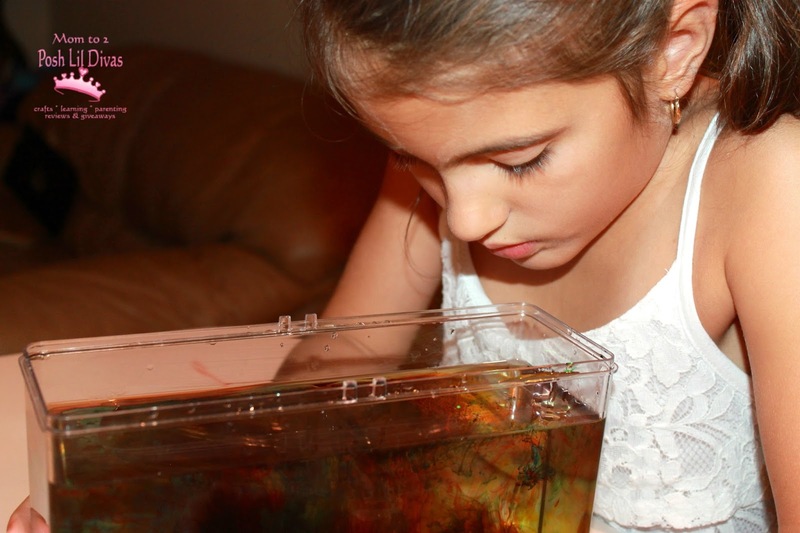 Activities don't have to take hours of prep or involve lots of materials to be meaningful, fun and engaging for kids. 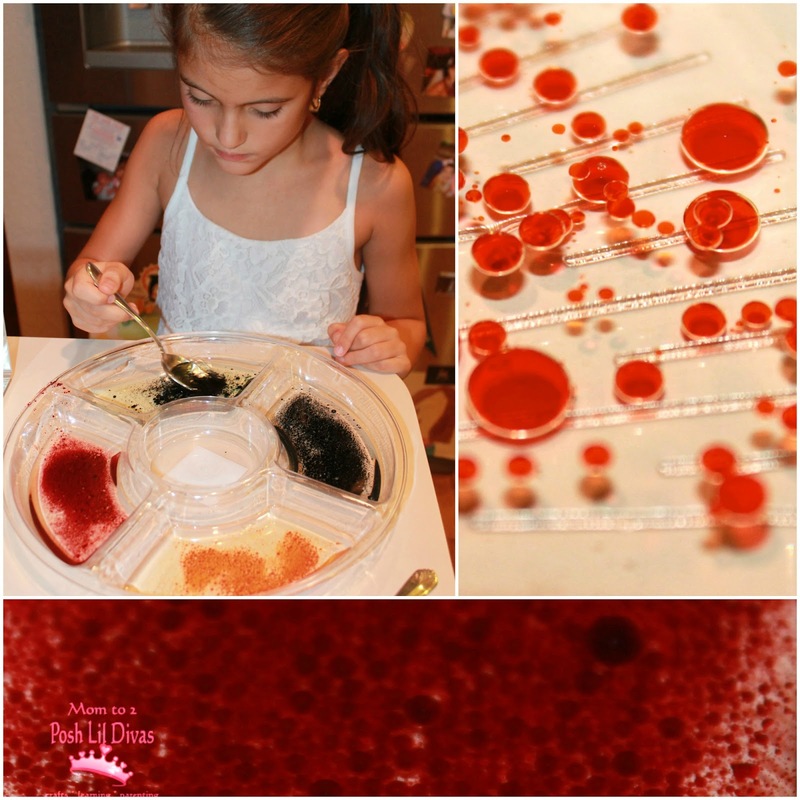 The Lil Divas loved this simple exploration and did it a few times over, yet it only took me 2 minutes to prep. Yay! Have fun exploring oil and water! fun - my son loved it every time we do it. 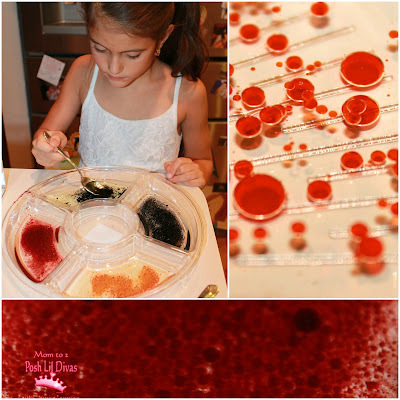 I love simple activities like this - and I find that my kids do as well. It's also awesome to dip 'art paper' into and get 'oil painting'.